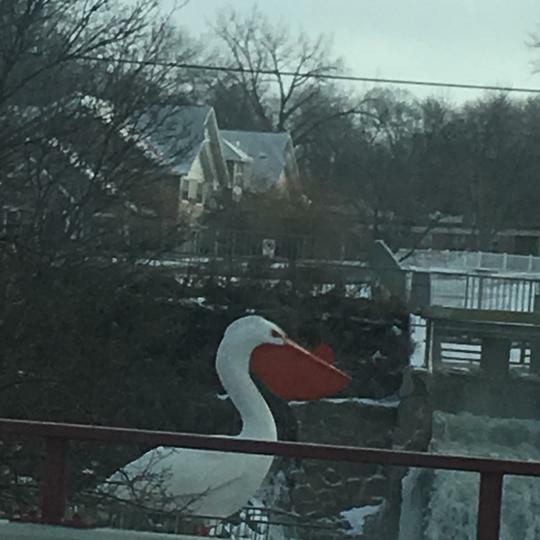 In Pelican Rapids, Minnesota at the base of the Mill Pond dam on the Pelican River, you will find...the World's Largest Pelican of course! 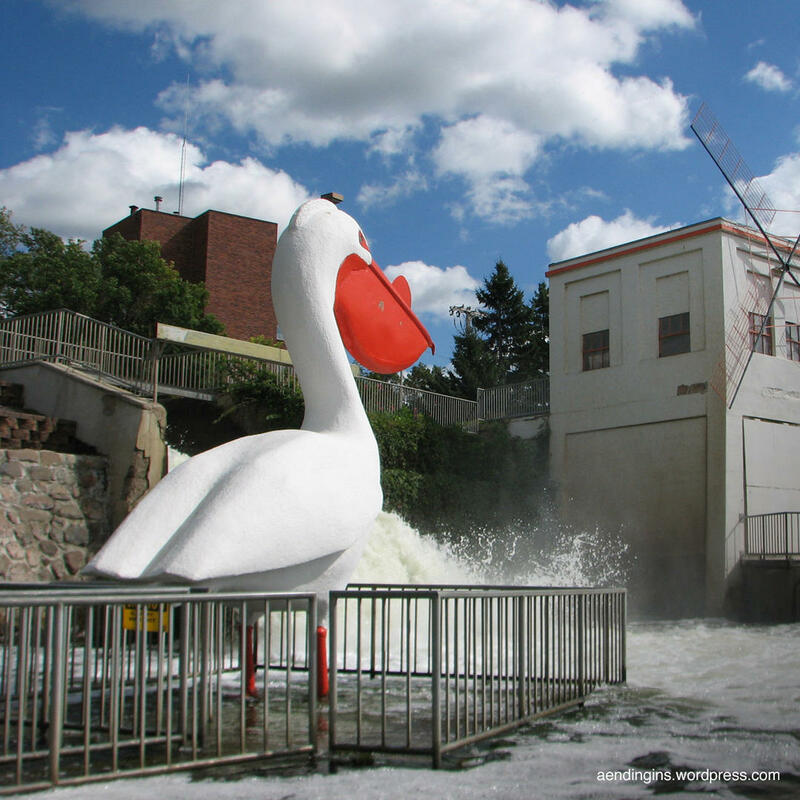 Built in 1957, the Pelican stands 15 1/2 feet tall! It's the favorite fishing spot for sunnies, bluefish, and Northerns around the Pelican's base which is said to be a trap for fish who tumble over the dam and into the pelicans paths, leaving the fish disoriented, distracted, then hooked.